Are you the type who has an iPad, a 17 inch laptop plus a ton of other gadgets besides? Then you’re just in time for our brief review of Booq’s new line of Cobra bags. We showcased those Boa’s last time, but if space is what you’re looking for when it comes to lugging your stuff around, check these new bags out. Having made the necessary introductions, let’s get on with the business of discussing individual specs. First up is a full-fledged briefcase, the Cobra brief L. An unadulterated laptop briefcase that an fit a 17 inch model plus a ton of iPad/iPhone accessories. This baby will set you back $255. Next is the Cobra slim L. As its name suggests, it can accommodate a smaller laptop but retains enough compartments for your all-important gizmos. True to its scaled down look, the slim L enjoys a scaled down price of $155. Smallest of the bunch is the Cobra courier XS. As the name suggests, it’s a tricked out messenger bag ideal for those who want to forego a handheld briefcase. 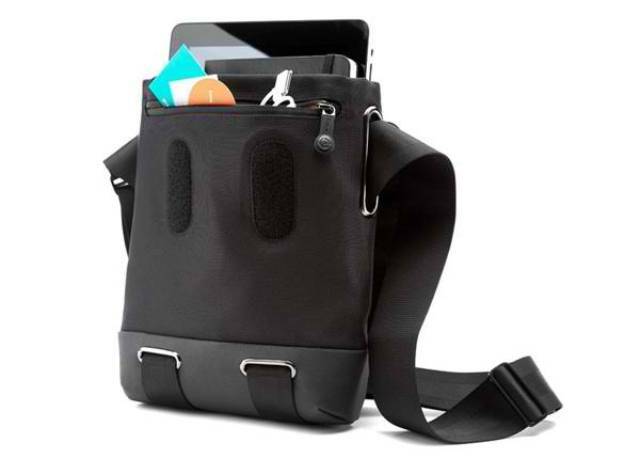 Endowed with the usual compartments to fir your iPad plus accessories, the courier XS is a steal at $145.